This time last year I made a proclamation. I only want to work on stuff that I love. I want to be involved in comedy. I didn't really know how specifically I would wedge my Chuck Taylor into this world. I just started showing up at the clubs and open mics in San Francisco. 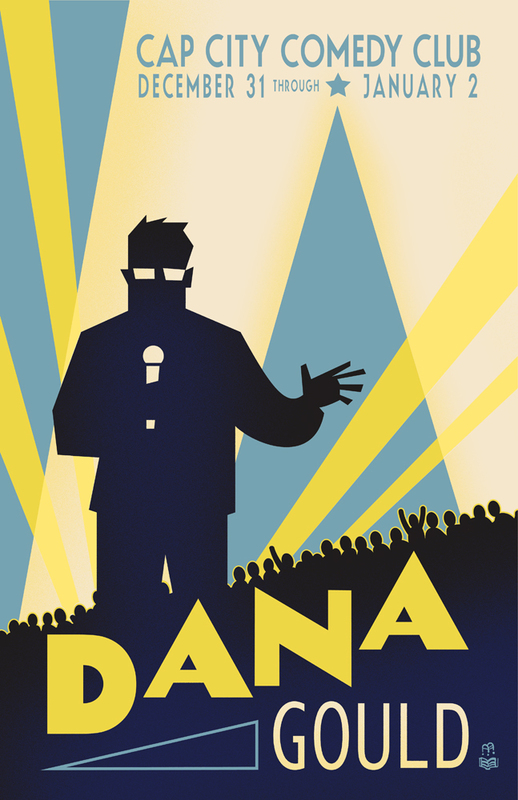 At some point I realized I should email some comedy clubs (and SF Sketchfest) to see if they could use some show posters (Tip: It helps to attach a poster that's finished and ready to help them make money!) It's kinda nuts how quickly things have moved since then. After getting to know the folks at Cobb's Comedy club and Punch Line, they asked me to help them redecorate the green room at Cobb's with a series of caricatures. These are the comedians who left us too soon. So I launched into painting these iconic comics in watercolor and inks. When I was first commissioned, I had visions of these pieces being ultra-simplified Hirschfeld-esqe caricature. But strangely enough they are turning out to look more like my drawings. Oh well, the world already has Hirschfeld-esque drawings. They were drawn by Al Hirschfeld. Check out the first seven comedians. PICTURE THIS! is a show created by Brandie Posey & Sam Varela: two girls who push the boundaries of what a comedy show can be. Picture This! is a live comedy show with hilarious stand-ups performing while some of the best animators, cartoonists, and other artists draw live. Their doodles are projected behind the comics! The comedians don’t know what the animators are drawing and the animators don’t know how the comedians will react. It may be weird. It may different. But it will be FUNNY!